Arguably the most famous song in all of the Psalter and possibly in all of human history – Psalm 23 – is etched upon the hearts of the redeemed. From sermons to songs to cries for divine guidance and protection, this psalm stands out in the frequency of its usage. Because of this we are very familiar with this song, maybe too familiar. My aim is simple: to open up less familiar ideas in Psalm 23 that its glory and longevity would continue in its matchless pervasiveness. This glorious psalm is worthy of twenty-three blog posts alone! Much can be said, sung, and supplicated from its richness. Above all, my intent is to have us consider Psalm 23 as uttered from the lips of Jesus. If you have given little thought to this, a feast awaits you. - Andrew A. Bonar, Christ and His Church in the Book of Psalms, 1860. Though it is only scratching the surface, below is a list of seven facets of Psalm 23 sure to set your gaze afresh in wonder. These are developed more in the notes and video below if you want to dig a little deeper. David wrote Psalm 23:1-6 later in his life during an exile from Jerusalem under the murderous threat of his son Absalom (2 Sam. 17:24, 27-29 ). The “I shall not lack” of Psalm 23:1 informs us that David was meditating on the Lord’s provision for Israel in their wilderness exile in Deut. 2:7 and Neh. 9:21. Psalm 23 portrays not only David, but the coming Messiah walking through death, guided by Yahweh. The “shadow of death” in Psalm 23:4 is actual death, and this death is the death that Messiah was guided through and is clearly depicted in the previous psalm (Ps. 22:1–21). The shadow of death is also referred to in Job 10:21–22. The table set before the enemies mentioned in Psalm 23:5 is not a table of provision set in the midst of the valley of death. 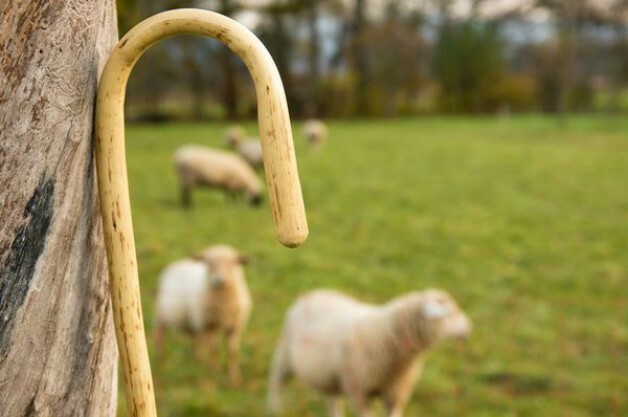 While it is profoundly true that the Lord makes provision for the valleys in our lives, the provision in the valley of death is the Shepherd’s presence, rod, and staff to walk out of death. The feast in the presence of enemies takes place at the dwelling of the Lord (Ps. 23:6), or Jerusalem, when the Messiah – the Son of God – is installed on Mount Zion to rule over His enemies (Ps. 2:2, 6, 8). Just as the global feast of Psalm 22:22–31 follows after the messianic sufferer of Psalm 22:1–21, so a table is prepared (Ps. 23:5) which follows after (Ps. 23:6) he trod the path of the death valley. The path of voluntary suffering Jesus knows well. The Creator of heaven and earth does not lead us along a path that He Himself does not know. He was led like a spotless Passover Lamb to the slaughter (Is 53:7) that we too might be more than conquerors (Rom. 8:37) when likewise led as sheep accounted for slaughter (Rom. 8:36, Ps. 44:22). We can rest assured that nothing – not even death itself – can separate us from the love of God (Rom. 8:38-39). For more, check out the notes and/or the video below. Question: What are some facets of Psalm 23 that you love? Please leave your answer in the comments below. Lynea, thank you for your comment, not old at all. You make a fantastic point! Something very powerful takes place when we sing God’s word doesn’t it? Often the words become inseparable from the melodies. Some times that is wonderful and some times keeps us boxed in. Hopefully the former is your experience. Thanks again for dropping by!